This guide draws heavily upon old guides and the input from Gail and Andarta. Thank you! Feel free to add others! As the server is progressing, players are beginning to decorate their shops, homes, and other RP centers, it’s time to share tips and tricks to help you decorate. A personal goal for the EiF team is to get ready for our version of the Galactic Showcase! Spins the object in a circle. 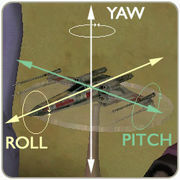 In technical terms: Pitch, Yaw, and Roll refer to the axis of rotation. Create macros to put on action bar buttons, so you don’t have to type them out over and over. Each of the lines in the list below should each be a separate macro. Place the chair and then use the rotate command to position it in the “line of sight” you wish to have for your objects (in this example we will build a counter). 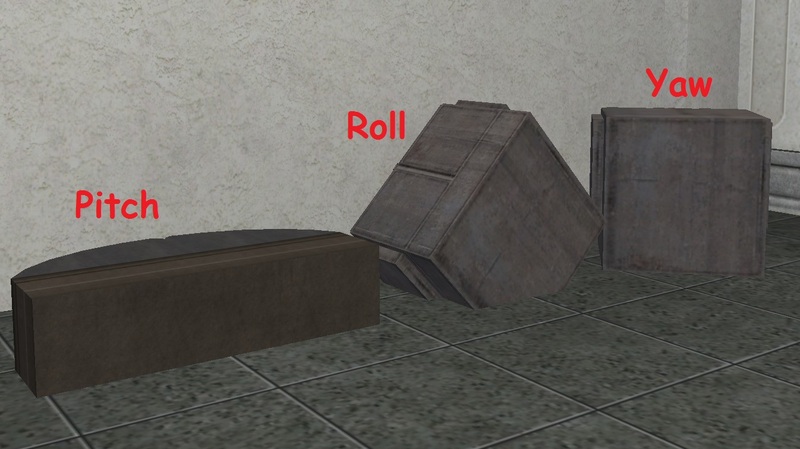 Drop the items near the position you wish to line them up at, you can leave them all stacked on one another. Sit in the chair (which should now be facing in the direction you wish) and then select the first item. Each table has a specific height, so once you find the height write it down for future reference. (Use the /no command to open up the notepad, if you want an ingame place to store information) Place the table and then the item. Select the item and move it up in increments of 10 until it is at or above the top of the table. This is best judged by being in third person view and tilting the camera so you can see the edge of the table head on. Once the object is in place add up the number of moves and use it for subsequent items. This entry was posted in Features, Friday Feature, News by Sandarie. Bookmark the permalink.